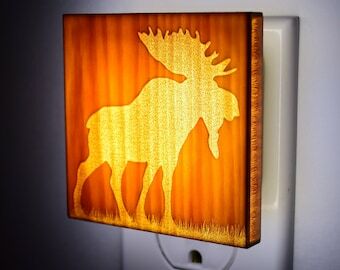 Fun and useful night light for your bathroom. 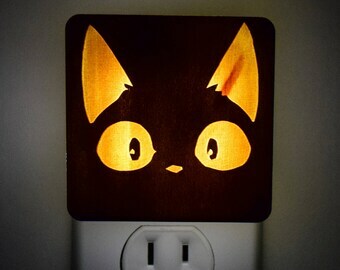 Standard - Night Light has only the Front Plate Design. 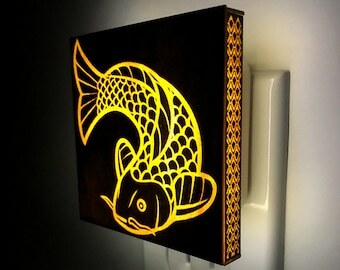 Deluxe - Night Light has Sides with Detailed Designs on it. Each increasing in complexity and time it takes to make. They all look amazing and is only a question of preference. 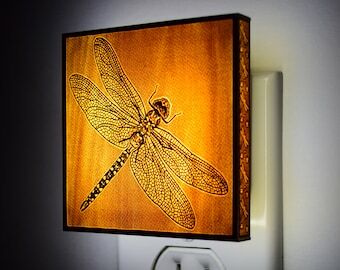 Ultra-thin wood is laser cut and sealed with polyurethane. 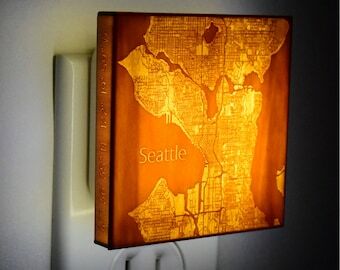 It is then fixed to a Plexiglas plate and attached to a custom LED light. 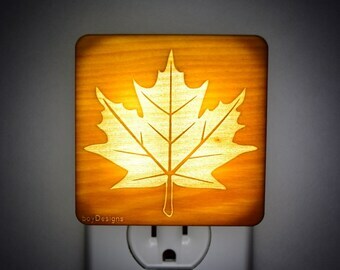 An original design, this night light is perfect for bedrooms, nurseries, bathrooms, hallways, kitchens, corridor and more! 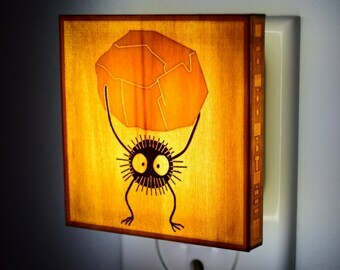 2.75" x 2.75" x 1.25" inch wood and Plexiglas nightlight is original design, laser cut and uses highly energy efficient LED lighting. Each one is put together by hand and tested. 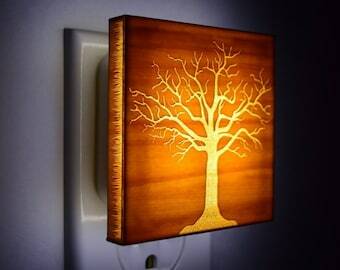 Automatic sensing: light sensor nightlight only activates in darkness and off at dawn. 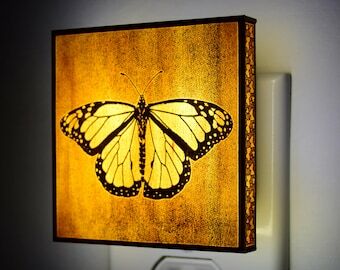 Good guide light in darkness. 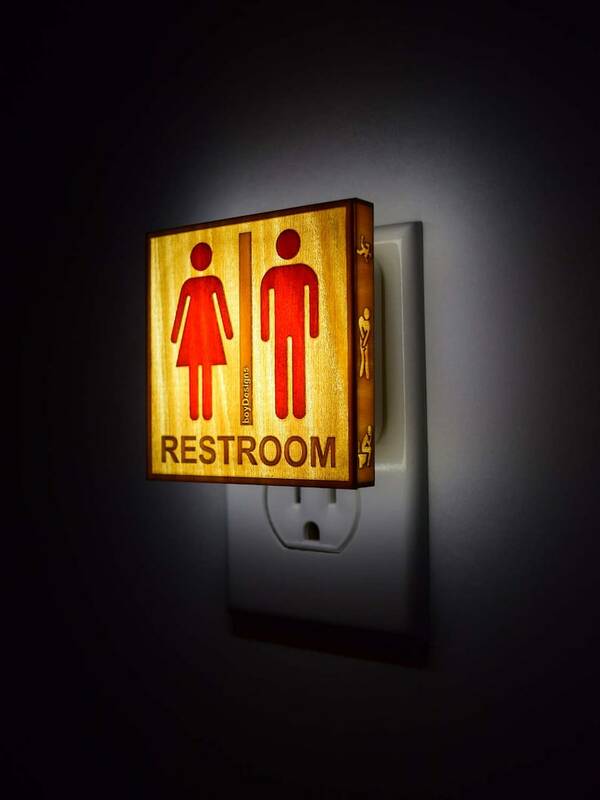 Energy saving - with energy efficient LEDs; no need to replace bulbs. It works for 12 hours each day and only takes 4 kWh per year, rated for 50000 hours. 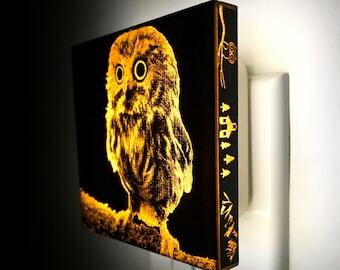 With a standard plug, 110-220V AC input, no batteries needed. 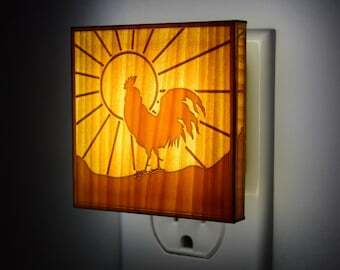 Suitable for a baby's rooms, hallways, bedrooms, kitchens, bathrooms, living Rooms, and corridors. 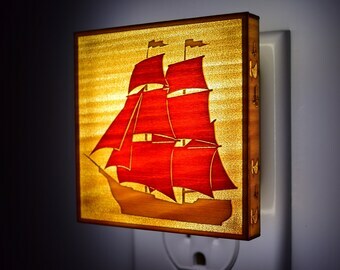 Every night light is a little different because of the wood grain, but they look very similar. Contact me with any questions or requests. 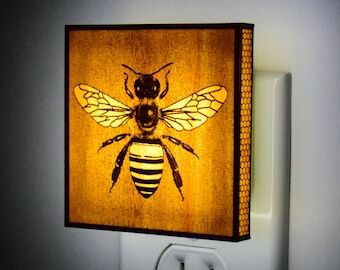 Love this night light, it has a sensor so it works when I need it to and it is absolutely beautiful! 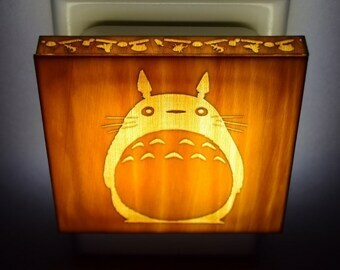 It is so cute and exactly what I wanted for my soon to be grandson’s Totoro room! My husband and I love it!! So cute! !